The Murcia region of Spain can be found close to the Costa Brava and is famous for its intense natural beauty and rich culture. 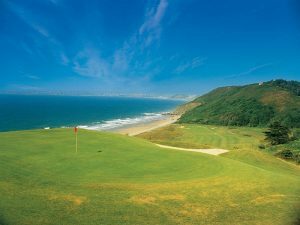 This is the perfect place to take a golf break, as there are a large number of excellent golf courses to be found here. Murcia golf breaks include everything the golf enthusiasts need to be comfortable and have fun during their trip, including fantastic properties to rent, time to explore this part of the world and admission to some of the finest golf courses that Murcia has to offer. The Murcia region is blessed with more than 3,000 hours of sunshine per year, which allows golfers plenty of time to soak up the sunshine and admire the picturesque scenery while they play a round or two. However, this region of Spain is often overlooked by holidaymakers and golfers alike, which means that there is usually plenty of room to play even on the most popular golf courses here. The Alhama Signature Golf is one of the best golf courses in Murcia and is also the furthest inland. This par-72 Championship Course was designed by Jack Nicklaus and features a natural rugged appearance interspersed with four large lakes and dramatic bunkering. While this course is rather challenging in some places, experienced golfers are sure to enjoy getting into the swing of things here. The course at Hacienda Del Alamo is suitable for golfers of all levels. This is one of the widest and longest golf courses in the whole of Europe, and features picturesque natural features such as waterfalls and lakes as well as expertly created wide fairways. The enchanting La Torre Golf covers more than five hectares filled with undulating greens that are in excellent condition. The 18 holes here are separated by sophisticated bunkers that create strategic points for shots.